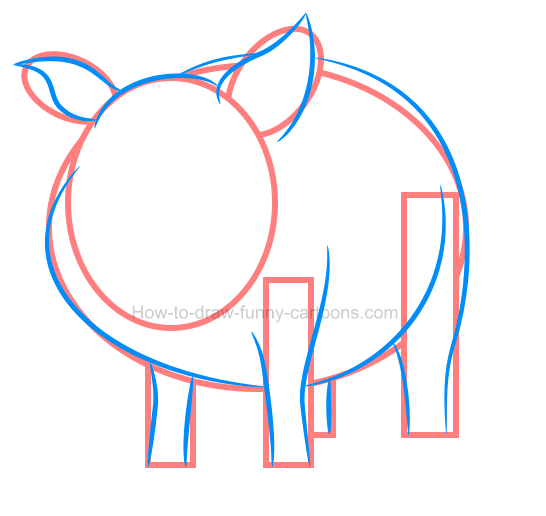 See how creating an illustration of a pig can be a fun and rewarding experience using this simple lesson and then watch a few alternatives for the color of the cartoon character. 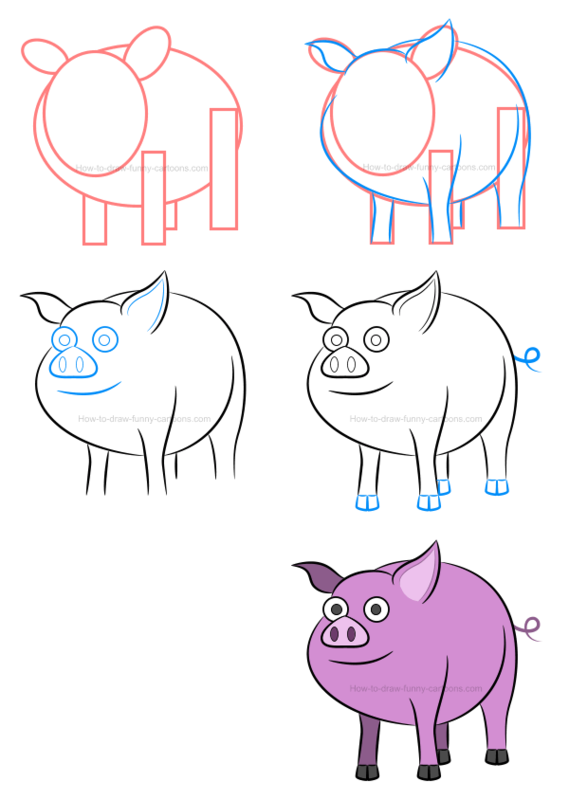 Pigs are fun to illustrate once you understand that this great animal is made from a very special body shape. Of course, things are not always the same in the wonderful world of cartoons! Eyes and pupils are made from small circular shapes. Both ears are drawn from curved lines and are sharp near the end. The top of the head is round and created from a small line. A large patch can be seen inside the ear of the character. The body is large and fat. Don't forget the emblematic curly tail! Back legs are larger and short. Rectangular shapes are needed on the bottom of each leg. Front legs are slightly thinner. The mouth is made from a simple curved line. The nose is made from a triangle filled with two oval shapes. Great! 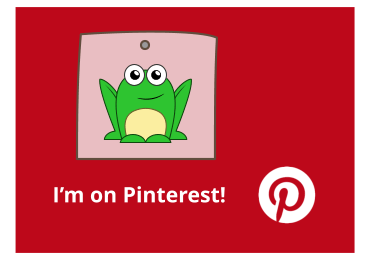 Hopefully you are now more familiar with the cartoon version of this animal. 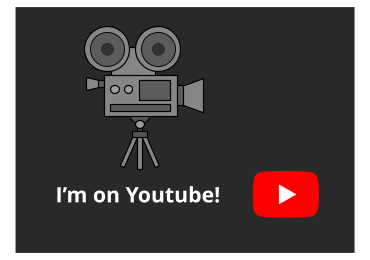 Don't forget that the first part of this lesson is dedicated to creating the character while the second part is featuring multiple alternatives filled with different colors. Ready? 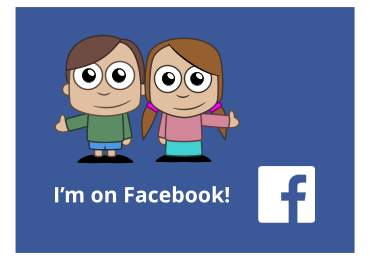 Let's draw! 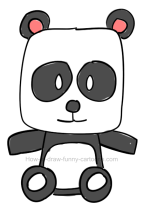 First, let's draw a few basic elements to help us draw an animal that is accurate and visually adorable. 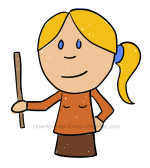 You can start by sketching a long oval shape to illustrate the head. The body is made from a larger oval shape. Ears are also made from circles while all four legs are represented by long and thin rectangles. Cool! We have everything we need to create this illustration of a pig. step 2 - Adding curved lines ... lots of curved lines! Using the template created in the previous step, you can now work on the character using mostly curved lines. 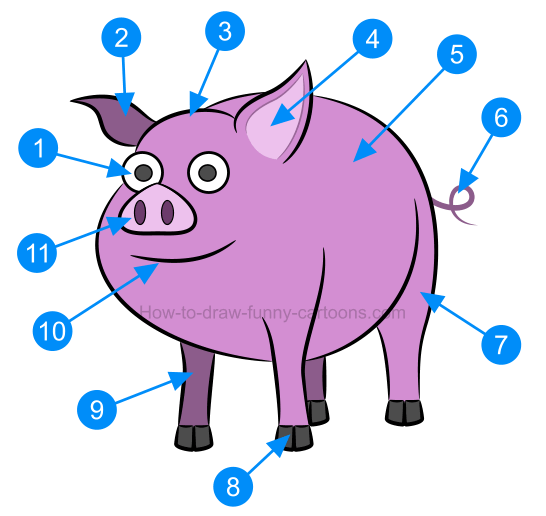 Pay attention to areas like the ears, the top of all legs and the head of the cartoon pig. Once you are done drawing all body parts, you can erase all shapes created with an orange outline. It's now time to work inside the head to create a beautiful face. You can start by completing the left ear by adding a patch inside this one. Eyes are made from small circles while pupils are created from dots. The nose is done using a triangle filled with round corners. Large oval shapes are sketched inside the nose. Finally, you can draw the mouth using a simple curved line. This illustration of a pig is almost completed! All you need to do to finish this part of the tutorial is draw a long curly tail on the back of the animal. On the bottom of each leg, draw two small squares as shown in the image below. That's it! 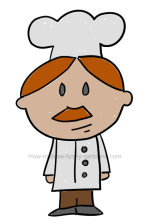 All we need to do now is add some color to make this character visually more appealing. 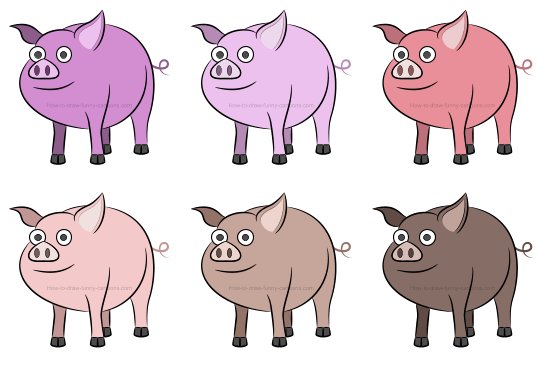 Since we are working on a cartoon version of the pig, it can be a good idea to use a bright and saturated pink color inside the animal. The patch inside the ear as well as the color found inside the nose can be lighter. 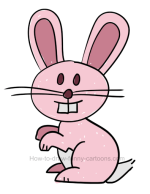 Elements located behind the character (like the right ear and two of the legs) can be filled with a darker pink color. Good job! 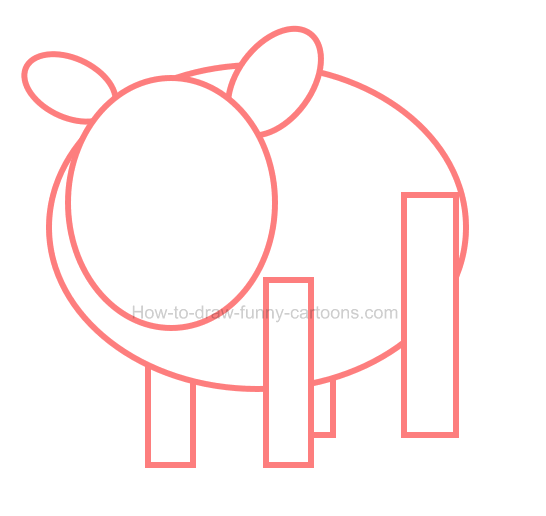 These are all steps needed to create this fun animal! 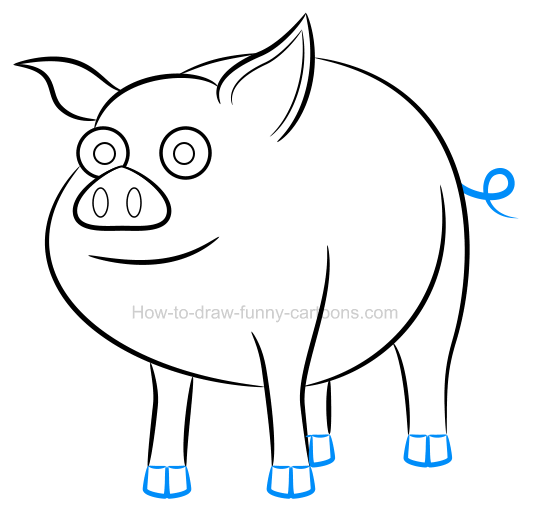 This cute illustration of a pig can be completed in just five easy steps. Take all the time needed to master these elements properly so that you can draw the character again without using this tutorial. Now that we have created a beautiful cartoon pig, let's see more options when it comes to applying colors inside this cute character. In this first variation, the color used inside the character is similar to the original one except the color is much brighter and lighter. I really like this alternative since the color is not as saturated as it was before and the illustration is still relatively easy to read. Yes, this is a good choice if you want something different. 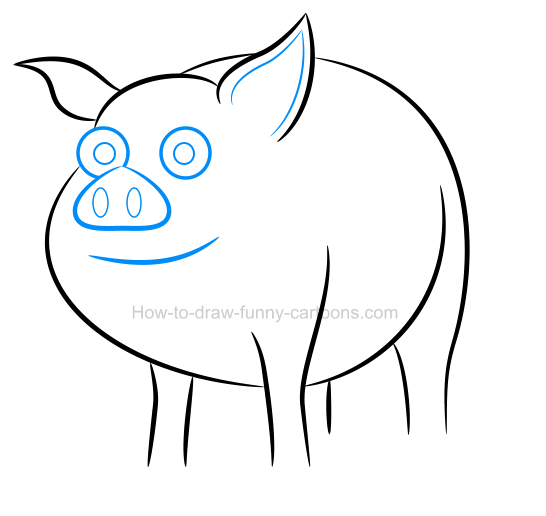 Our illustration of a pig is now filled with a dark skin color. This is not a bad move, but somehow it's not as convincing as it was with both previous versions. The color is not a poor option, so maybe it's the fact that this color is very dark, very deep, very saturated. Let's keep this color, but let's try something else! That's better! We are using something quite similar to the color found in the previous example, but this time the color is light and closer to reality. This alternative is visually pleasant and very appealing. This is the proof that you don't need to use a bright pink color to create a cartoon pig that works. 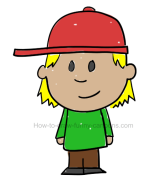 In this other version, the cartoon character is filled with a light brown color. This animal seems closer to reality compared to all previous characters. Pigs like to play with mud and this character seems ready for some action! Good work! 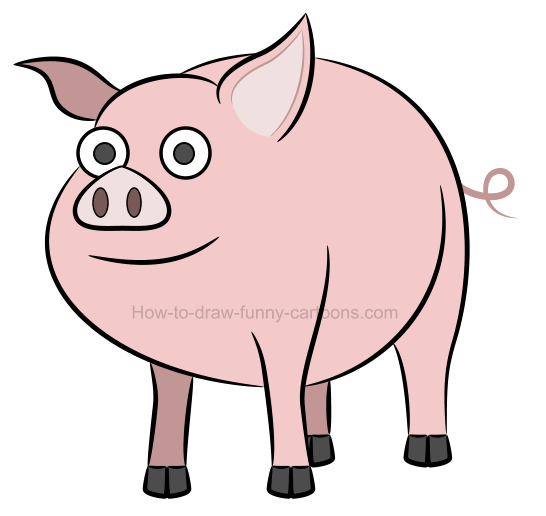 We have another option that can be used for creating cartoon pigs. 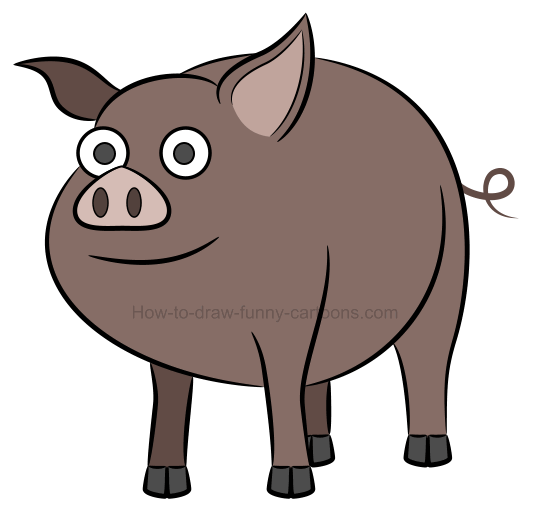 Have fun with this illustration of a pig!